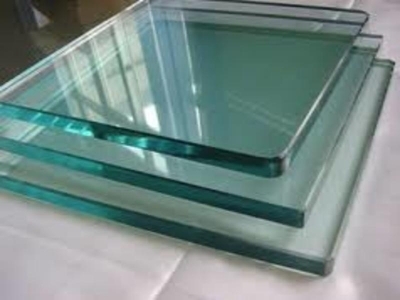 Toughened glass is strong glass which has low visibility. 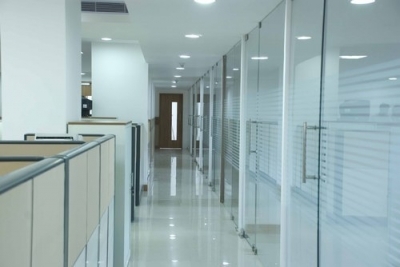 It is available in all thicknesses and when it is broken it forms small granular chunks which are dangerous. 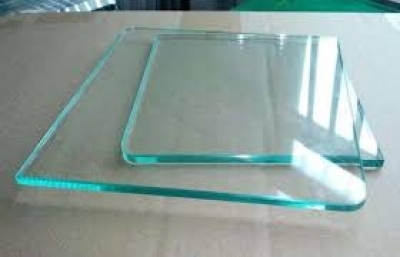 This is also called as tempered glass. 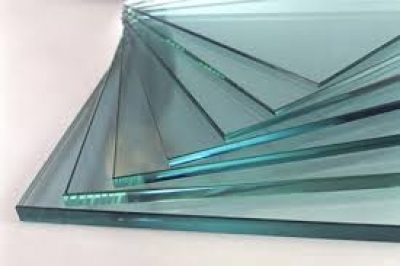 This type of glass is used for fire resistant doors, mobile screen protectors etc.